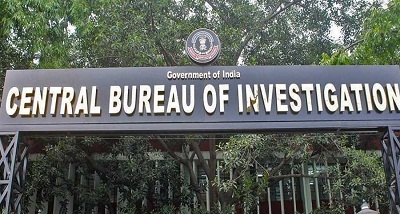 Central Bureau of Investigation, CBI has arrested an Intelligence Officer, Narcotics Control Bureau, Kolkata and an advocate in an alleged bribery case. The agency said, the case was registered on a complaint alleging that the Intelligence Officer has demanded two lakh rupees as bribe and has agreed to accept 50 thousand rupees for not implicating the complainant in an NCB case. CBI laid a trap and caught the advocate for demanding and accepting the bribe on behalf of Intelligence Officer of NCB. The Intelligence Officer was also arrested. The agency said, searches were conducted at the official and residential premises of the accused.